Similar to a Filipino custom, another part of a Filipino workplace culture is to rejoice as the company reaches 18 years of existence. 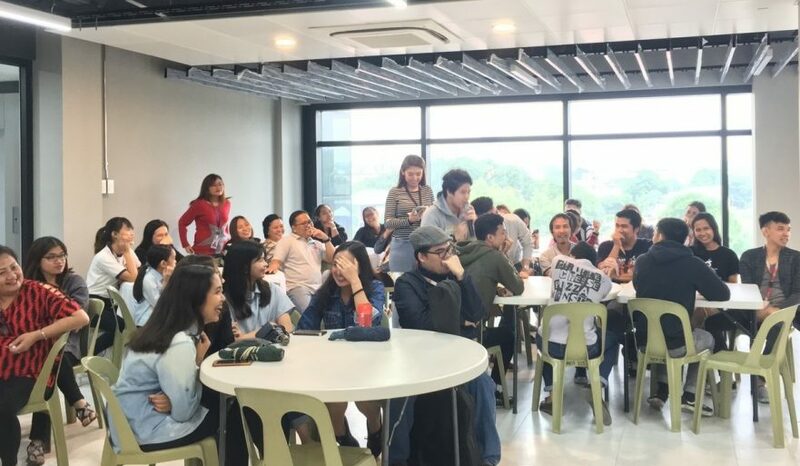 FilWeb Asia employees did not only celebrate its 18th KPO anniversary with a blast, they also received something new: a four-story building adjacent to an annex building. On September 14, 2018, employees went to the building’s third floor, where the party happened. Met with a blast of cold air from the AC units, each department claimed spots before the action begun. 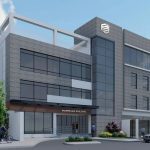 The of the newly minted office boasts a modern, open-floor plan concept. Complete with glass walls, it also has an elevator, and even a wide reception area to boot. This is the largest office building the company has occupied to cater its growing number of employees. 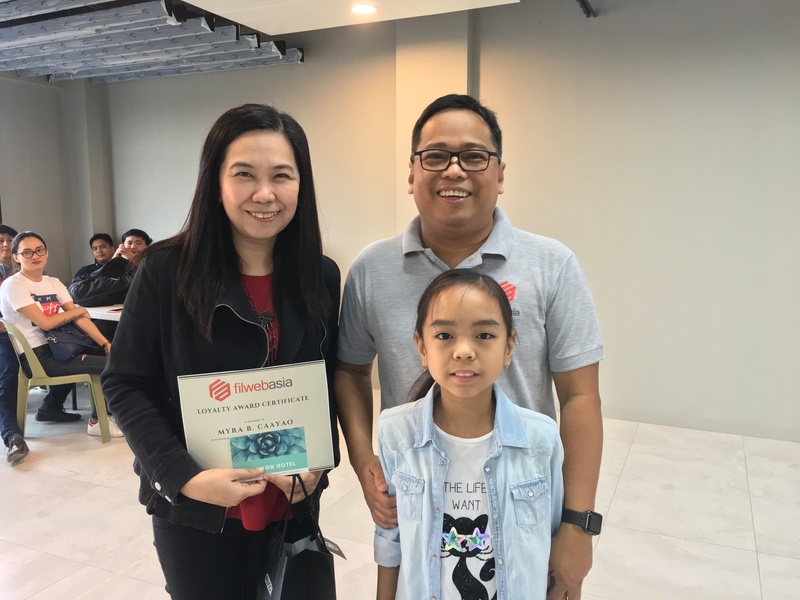 For 7 consecutive years, the Career Development Department’s Support Team Leader Clerence Bergantiños and Human Resources Manager Barbie Melendez hosted the annual event. 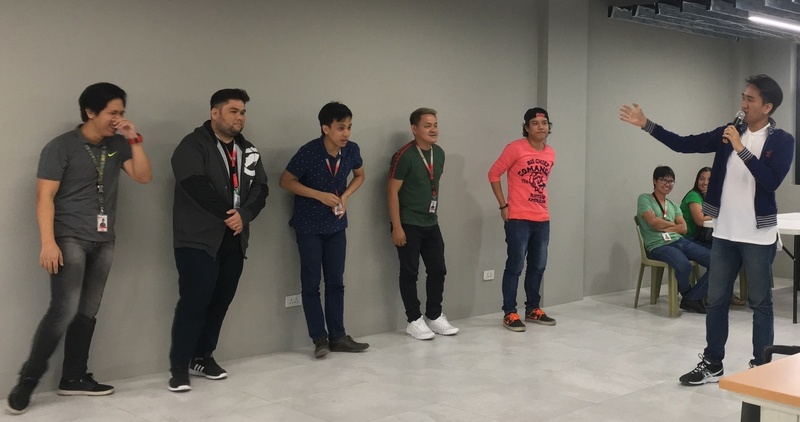 This year, they once again graced the stage to welcome everyone with a roll call of each department and even made the office newbies introduce themselves. In every party, there are guests of honor who need to be recognized. Gracing the event were FilWeb Asia’s CEO and President Larry Mercado, VP for Finance Alma Mercado, and VP for Operations Myra Caayao. 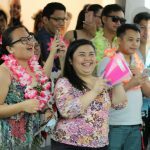 In FilWeb Asia’s 18-year journey as a KPO and BPO company, there includes employees who remain loyal and dedicated for a decade. Thus, they were added to the list of guests of honor. 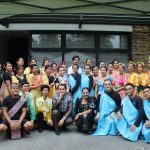 As a way to thank them for their loyalty and service, the CEO awarded them with gifts, which include an overnight stay for two at the Crimson Hotel in Alabang. Among those inducted are (1) Wilma Constantino from the Digital Content and Marketing Department, (2) Reynald Espuelas, from the OP Graphics Department, (3) Renalie Uchi from the Career Development Department, (4) Bryan Sapico from the Web Design and Development Department, (5) Virgilio Perez from the Admin Department and; (6) Myra Caayao, VP for Operations. To keep the energy up and flowing, employees joined various games. Some of the games were the oldie-yet-goody Hep Hep Hooray, FilWeb Asia’s take on Minute to Win: It’s Pink Elephant, and the heart-stopping noodle relay. DCM’s Clarice Oyales won for her hand-raising performance on Hep Hep Hooray, and the ladies from the Career Development Department won on a boys-versus-girls noodle relay. The winners received cash prizes for their hard work. 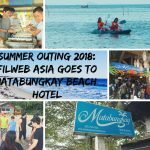 FilWeb Asia is a company that encourages collaboration among its employees. 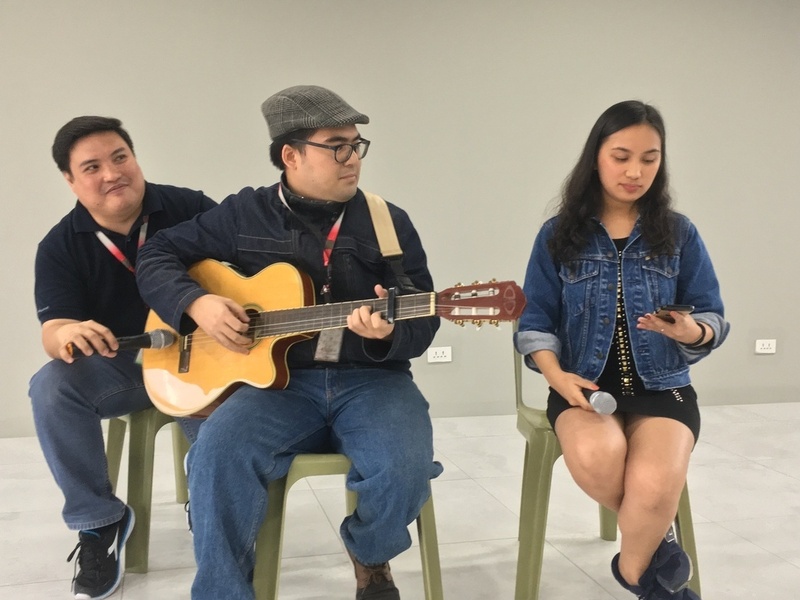 Thus, after the hype of the games, Team Manager Mr. Paul Emmanuel Enicola and Digital Content Writer Carriza Maiquez of the OP Writing Team serenaded the attendees with two songs designed to calm down yet enchant the listeners. The OP Writing Team is the recent addition to the growth of Outsource Philippines handled by FilWeb Asia. No debut is complete without the debutant’s dance. However, FilWeb Asia made its own spin in this traditional dance. Instead of playing the usual debutant songs, male representatives from FilWeb Asia’s different departments danced to the tune of the hit sensation “Boom Boom.” Among those who performed came from the Management Information System (MIS) Department, Data Research Team (DRT), Career Development Department (CDD), Flexi Team, and the Digital Content and Marketing (DCM) Department. Each performance garnered rounds of applause and cheers as each performer entertained everyone in the room. Finally, the declared winner of the dance showdown was Joel Jason Eugenio, a member of the support team of CDD. No Filipino event is complete sans the food. That’s why to cap off the celebration of FilWeb Asia’s 18th year anniversary, delectable food was served as everyone lined up to get their fill. A bonus for this year’s party is a Serenitea booth! Aside from the buffet, employees received a tall serving of a milk tea of their choice. Do you want to work for a company that celebrates clients and employees alike? Join us! Not only will you enjoy a Filipino workplace culture, you will gain skills recognized abroad, as well. Similar to a woman of eighteen who is ready to conquer the world, accompany us in our journey, as FilWeb Asia goes global.